Small article (from an unidentified magazine) on Steve Reeves filming in Egypt for SON OF SPARTACUS (1962). He met with a bodybuilder named El Gindy. I don't know if this article is longer than this one page. If anyone has more, let me know. 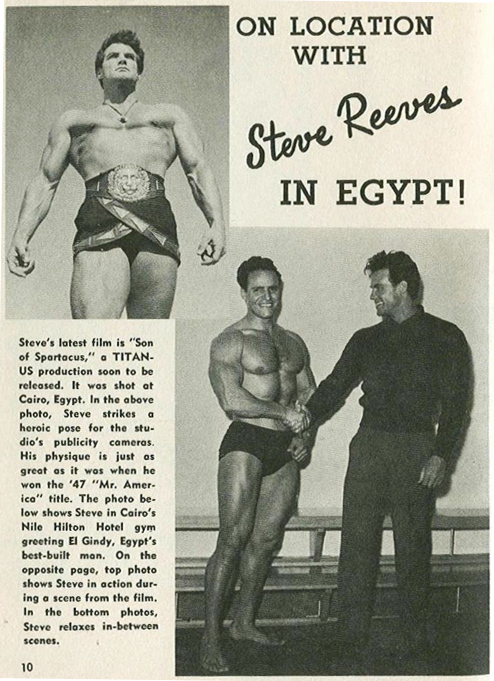 Steve Reeves, as Randus, with Renato Baldini and Ivo Garrani. Film clearly shot on location in Egypt.